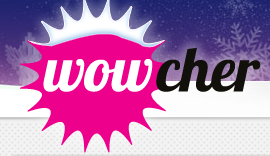 Groupon and Wowcher- Sinner or Saint for Small Business Marketing. Vowcher and Groupon for Small Firms – Podcast has been updated and is below. Meanwhile my short course and Wowcher facts for new and start up businesses is below. I am a mentor at StartupDirect.org. So I do know a thing or two about how to start a business. It’s yours at no cost, just send me your details below. Don’t forget , you borrow my brain for 90 minutes at discount (Jan 17 only). Guaranteed to be worth at least £5,000 to you. Vouchers for small and medium sized firms are a great way to get new business – but there is a catch. Most business owners don’t go about it the right way. Contact me today for a copy of our Using Vouchers For Small Firms Report no charge or obligation just some no B.S information that will show you how, if you would like to set up a ‘Discount Coupon Scheme’ for your business – I can have them up and running within hours for you. If you are a product retailer rather than a service provider you can use the voucher sites to clear stock at a substantial discount in order to get rid of it quickly or to make room for new stock. If you are rolling out a new service or product and want to test this could be and ideal method. New branches and shops spring to mind immediately. It seems the best thing to do with business generated from vouchers is to either cross sell them something or to rely on the customer experience in order to make them come back for more. On the face of it then it doesn’t seem right that any firm should have to spend 50% of turnover or more to generate leads which often can be of poor quality or not the right sort of customer for that business. The worst type of customer is one that buys on price, and having to rely on a ‘cross sale’ in order to make a sale profitable is likely to end in failure. If we look at an example of this to make my point, a current offer from a local firm of Hairdressers is this – Half Head Highlights (for the men reading this I am not going to explain – ask your Wife or partner) – voucher price £35 for a service that would normally cost £75. I assume that at £75 the business makes a reasonable profit as this would be the normal price. Offering the same service at £40 off would seem on the face of it to be madness, but an offer is an offer. When you take into account the voucher offer at £35 this ends up being as low as £17 paid to the retailer, depending on the voucher seller. Of course it does not take into account any setting up costs the voucher providers may charge. The voucher provider also controls the process it collects the money for the voucher, and forwards on the lower amounts once all of the vouchers have been sold (you can also bet your life that due to accounting processes the funds will not be transferred for 30 or 60 days), there is a good chance that the local firm doing the work will not get paid for two months after the work being completed at a substantially discounted rate. You might have guessed already this is probably not a good way to run a business. Ownership of the client is perhaps the most important thing to be aware of if you are thinking about selling your products via a voucher deal. With customers being extremely price driven in this current marketplace, and also being extremely fickle, you are going to have to work extremely hard in order to maintain clients over the longer term. Worst still most businesses we work with do not have in place processes to maintain client’s long-term, it’s a strategy that will cause the failure of most firms at some point in time. One of the first things we do for a new client is put in place processes and systems so they can build relationships with all of their customers. My thinking at the moment is that these voucher deals do have a place in the business marketing armoury however if the reason to be in business is to make a profit then there are many better ways to achieve that, and to allow you more control. We can offer you you a range of options to automate your business marketing, and put in place your own ‘voucher’ schemes that will work for you, without the third party overhead, you can contact me on 01323 660058 or 0774 007 6226 or use this page Contact Richard Smith We can have things in place within days. More sales, more leads, more clients spending more, that’s all you need right? Problem is looking at a Voucher deal is probably not going to get you any of those things. Let me share some more information, some things that are working for my clients now. (There are only 10) No charge and I know you’ll start to solve some of these problems – there is nothing to buy, just stuff that you should know.